The WTO Chairs Programme is currently in its fourth and final year at the NWU, which means that certain projects are being wrapped up and TRADE’s activity calendar will start to look a bit different from next year. But this does not mean ‘goodbye’ to our friends at the WTO with whom we have developed a warm relationship and with whom our professional ties will continue. WTO Chair holder, Prof Wilma Viviers, reflects on what the Chairs Programme has meant to the NWU and TRADE. 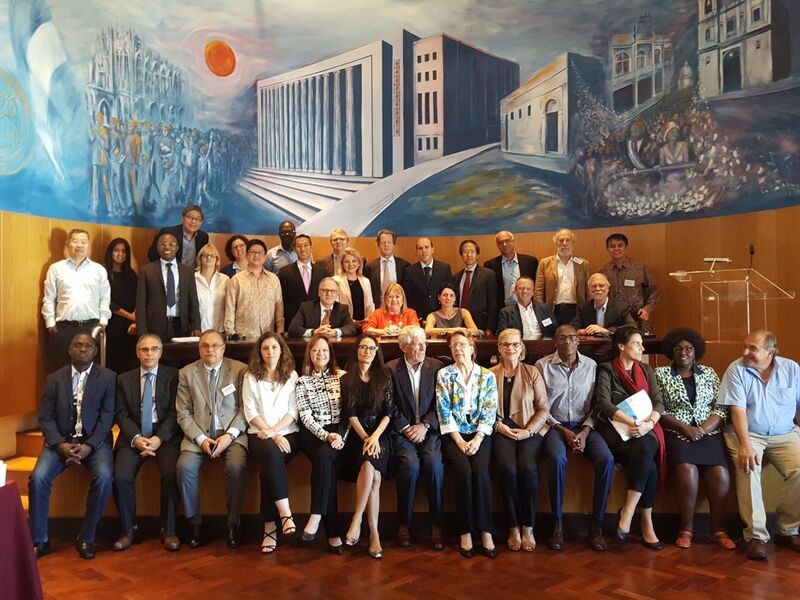 ‘The past four years of the WTO Chairs Programme have been both stimulating and rewarding, and we are very grateful to have had the opportunity to participate in and expand our horizons through the Programme. All three pillars of the Programme – research, curriculum development and teaching, and outreach – have in their own way kept us on our toes in terms of the number and quality of our outputs, and have opened our eyes to the policy implications of the ever-changing trade environment. The WTO Chairs Programme has had a profound influence on the scope and intensity of TRADE’s research programme, with topics such as regional integration, trade facilitation, services trade, digitisation and sustainable development (especially in an African context) assuming increasing prominence in articles, dissertations and theses, conference papers, seminars and other outreach events. It has also prompted the expansion of the School of Economic Sciences’ International Trade curriculum to put trade policymakers’ and practitioners’ concerns and challenges under the spotlight. Another major benefit of the WTO Chairs Programme has been the emphasis placed on skills development. In particular, the NWU and TRADE have benefited greatly from the bursaries awarded each year, enabling several deserving candidates to fulfil their ambition of obtaining a Master’s or PhD in International Trade. The financial support underpinning the Chairs Programme has also enabled TRADE to run various courses aimed at enhancing participants’ research, analytical and writing skills. Two particularly noteworthy courses presented by the WTO were a training workshop on the STATA statistical software programme and a workshop on GVCs and services data. Furthermore, the Chairs Programme’s emphasis on outreach has been a game changer for TRADE, opening new doors to collaboration opportunities at a national and provincial government trade policy level as well as at an international level. This has provided new platforms for disseminating research findings and stimulating debate about many cross-cutting issues.